Striker Paul McCallum says the Leyton Orient players are determined to prove that they deserve to be playing at a higher level than League Two. Orient were relegated from League One after a season in which they went through four managers. "This season will be a test - there's players here that got relegated who want to show that they're better than this league," he told BBC London 94.9. "Getting promoted is definitely the main thing for us this season." 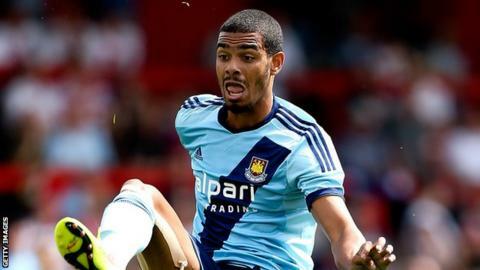 McCallum signed a two-year deal in June after being released by West Ham, having been sent out on loan six times with stints at Rochdale, AFC Wimbledon, Aldershot, Torquay, Hearts and Portsmouth all on his CV. "It's what was important to me when I signed here. I wanted to settle down," he said. "At West Ham I used to get loaned out here, there and everywhere but now I'm here and this is my home and I want it to go well.